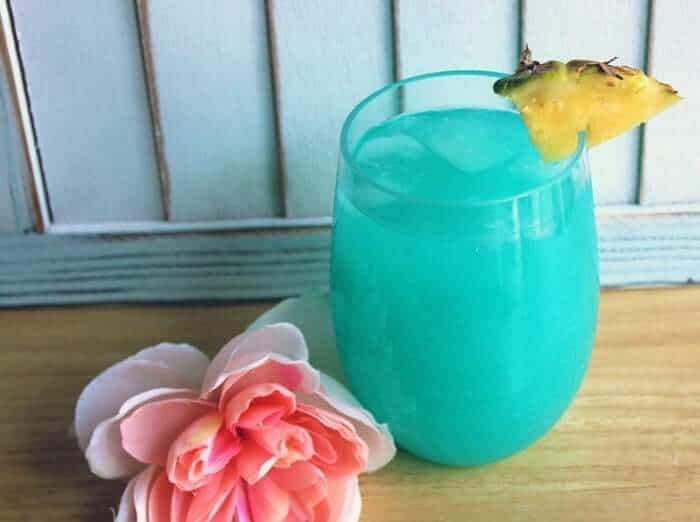 This Blue Hawaiian cocktail recipe is going to whisk you away and make you want to pull out the lawn chair, find some sun and bask the day away. How do you make a Blue Hawaiian? 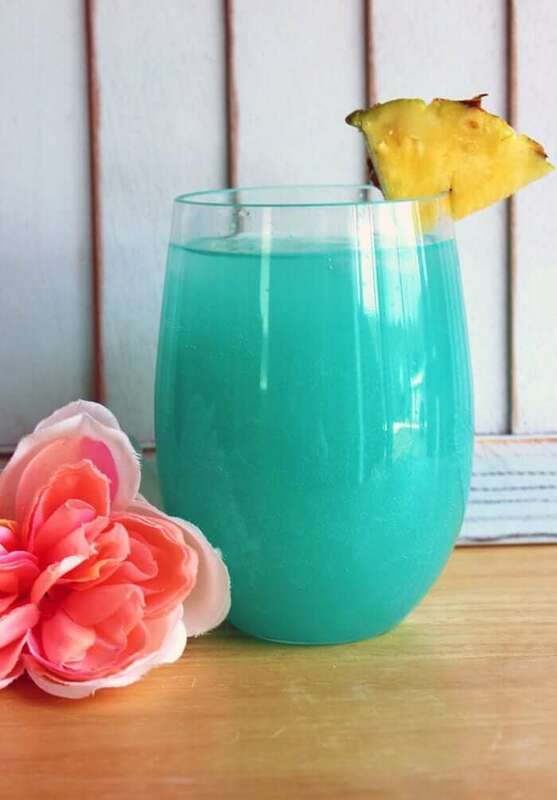 In a nutshell, you combine rum, blue Curaçao, pineapple juice and ice to make this delicious cocktail. You would combine these ingredients in a shaker with ice and pour into your glass of choice. See below for glassware recommendations. What type of Rum tastes best in the Blue Hawaiian? If you want to give the drink a bit more of a pineapple boost you can also use Pineapple Malibu rum which tastes amazing in this drink. Regardless of which one you choose, if you want to preserve the look, avoid using dark rums and stick with the light coloured, otherwise the blue from the Curaçao won’t come through as nicely. What does Blue Curaçao taste like? Curaçao tastes a bit like oranges and has a unique flavor that comes from the peels of the laraha citrus fruit grown on the island of Curaçao, hence the name. In this instance, as you can see, I used a slice of fresh pineapple but common garnishes include maraschino cherries and orange slices as well. Use a Hurricane glass or something similar as recommended below. Avoid using dark rum so that you can maintain the beautiful color of the drink. What type of glass should you use for the Blue Hawaiian? You can serve it in pretty much any type of glass but the standard one that is most commonly used is a Hurricane Glass such as the one below. In this case, we used a stemless wine glass, which is also a great choice. Slip away to Hawaii and a warm beach somewhere with this deliciously tropical cocktail that's perfect for the beach or lounging on your deck. Combine in shaker with ice and shake until cold. Garnish with pineapple slice, cherry or orange slice as desired. I had this drink in Cuba, it was my new favourite! Thanks for the recipe!